Traders venturing into the futures market for the first time need to consider the inherent risks associated with derivatives contracts and how they can be mitigated using hedging strategies. The first stop on our list is a concept called Basis Risk. This article will help you understand the different types of basis risks that a trader may be exposed to. 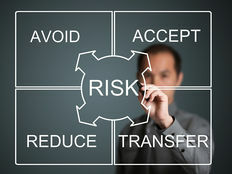 In derivatives trading, Basis Risk is defined as the inherent risk a trader takes when hedging a position in a futures contract. Namely, it entails taking a contrary position in a particular asset as a means to mitigate price risk. Since risk can never be fully eliminated when trading futures or any other type of asset, it can still be made to take an alternative form. This means its impact on your portfolio can be mitigated to a certain degree. Using Basis Risk, traders enter into a futures contract to hedge against potential price fluctuations. In doing so, they are at least partly changing the inherent price risk of that trade into another form of risk (i.e. Basis Risk). This gives your position the characteristic of systemic risk, which is unavoidable, versus non-systemic risks, which are associated with a particular investment like gold or oil. For example, systemic risk is an economic recession that impacts the entire market whereas the U.S. shale oil boom is a non-systemic risk for international oil prices (namely, higher production leads to an oversupplied market and lower prices). Click here to learn more about how an interest rate hike can affect commodities. 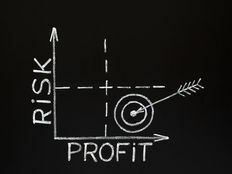 Basis Risk strategies are necessary because of the price volatility between the period when a futures position is initiated and the time when the trader decides to close out that position. During that period, the spread between the futures price and the spot price may change considerably. For a short recap on futures trading, recall that futures prices represent the price of an underlying physical commodity; buyers of that contract have the right to receive delivery of the commodity and the seller must be prepared to deliver on a short position if held until delivery. From the time the futures position is initiated to the time it is closed by the trader, the normal tendency is for the basis spread to narrow – that is, the future price will more closely approximate the spot market price the closer we arrive at expiration. After all, if you are closing out a contract on the 30th and today is the 29th, there is less and less “future” to observe. Of course, there is no guarantee this narrowing will occur. Be sure to click here to learn more about the contango effect in the context of commodities. To demonstrate Basis Risk, consider the following: suppose the current spot price for silver is $15.50 a troy ounce and the price of the June contract is $16.00. Basis Risk reflects the risk that the futures price might not correlate with the price of the underlying asset (i.e. spot silver), and that this difference may be significant enough to negate the trader’s hedging strategy. The spread between the two prices may widen or narrow from the time the hedging position is employed to the time it is liquidated. Price Basis Risk: When the price of an asset and its futures contract don’t move in lockstep with each other. Location Basis Risk: When an underlying asset is in a different location from where the futures contract is actually traded (this sometimes occurs in primary commodities). Calendar Basis Risk: When the selling date of the spot market asset is different from the futures expiry date. Product Quality Basis Risk: When the qualities of the spot contract are different from the ones represented in the futures contract. Basis Risk is an important concept for commodity traders, especially those venturing into the derivatives market without much experience. 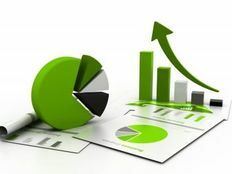 Be wary of Basis Risk and its various forms, as it could impact your hedging strategy and overall performance.